As it has been very cold weather it is upsetting things a bit. Yesterday I found that the spray gun in my van had frozen up so was spurting water out the side. Also the water tank holding the water for my rinse system had frozen up but this melted as I drove to my first job in Painswick in Gloucestershire. As my water tank is in the front compartment with me it gets the heat from the cabin so this helped it to melt. I got a call from one of the guys who had been on one of our courses to say that he had water spurting out of the side of his water pump and asked me if it was covered ouor warranty. Hmm.. I think not as I tell everyone about this and it is written in the manual, so I gave him the details of how to get a new pump. I went to Focus DIY and got some insulation and made sure that the pump in my van was wrapped up well and then we sent a txt message to the guys to make sure that there pumps were also wrapped up. I had a chat with our Berkshire Franchisee and he told me that as his tank was in the back of his van it didn't defrost all day. So this is a problem and I 'll have to come up with a way around this. At the moment I am out everyday cleaning ovens as we are busy leading up to Christmas and we are a man down as Alan is on paternity leave as his partner gave birth to a baby boy last week. Oven Cleaning on a Good Friday Upsets the Vicar! We have just got some new fleeces for the winter as it is getting a bit cold and I must say this one piece of work clothing I seem to like so much that I am wearing it during the day whilst oven cleaning and also outside work hours. Usually I can't wait to get out of my dirty oven cleaning stuff at the end of the day but these fleeces are really comfortable and I am wearing them whilst doing other things. Last Saturday I was wearing it in Costco and a lady asked me for a leaflet which I was a bit embarrassed about as I had forgotten that I was wearing it – they have a large OvenGleam logo on the back which means you can see exactly what we do. Well this week I am into my fourth consecutive week of training someone to become an oven cleaning business owner and I can report that it is getting a bit hectic. It's just not the cleaning its all the visits to the local Indian restaurant – we have an Indian restaurant three doors up from our office and its becoming the restaurant of choice for us and our 'guests' on their oven cleaning course. We have been five times in the last four weeks and there is still another three days of this course to go so it could be six by the end of the this week. Really I can't remember the last time that I went to an Indian restaurant to often – I think maybe I got close when I was working at a computer consultant in Manchester way back in 1996. 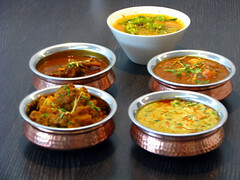 There my hotel was next to Rusholme the famous Indian restaurant location of Manchester – the 'Curry Mile'. Today after the night before, in the Indian Restaurant, I felt a tad off and I wasn't feeling too well. I think it was something to do with the alcohol as my body just can't cope with too much of it! As I have got used to eating very hot chillies it wasn't the food. This year I have been growing my own red chillies in my greenhouse and they are currently all very red and very very hot (if you've been reading my blogs I cleaned two Lacanche ranges at a house last year where the owner was using chillies to make chilli chutney – and he had chilli bushes growing everywhere and the guy was insistent on showing me them and giving me some chillies to take home and try). Today we went out and cleaned a double oven, 90cm hob and extractor in Bristol and then went all the way to Shaftesbury to clean a four oven AGA. This was a regular customer and we have been cleaning their AGA for the last four years. Anyway after some coffee from the local Costa Coffee in Shaftesbury I was instantly back to oven cleaning readiness and raring to go. I cleaned the inside of ovens 3 and 4, of the AGA, and the inside of each of the four doors and Simon, who I was training, cleaned the rest of the AGA. At the end of the job the lady very kindly said that she hadn't seen it that clean since it was new; which I can remember is what she said to me the last time that I cleaned it! We are going to clean another AGA tomorrow this time a two oven AGA as Simon needs the practise as he has a four oven AGA booked into cleaned when he gets back to his own area. Here is the third really dirty oven of that particular oven cleaning training week, the week before last. The first problem was that I was expecting just a standard single oven and when I walked in the kitchen this is what we saw. It was a 90cm single oven range oven which was just a bit dirty. So I had to re quote on the price and the price we came to was half way between our standard single oven price and our 90cm oven price. The guy I was training cleaned the door whilst I cleaned the inside of the oven which luckily wasn't a fan oven. Both the oven and the door took some cleaning. I showed him how to take the door apart and left him to get on cleaning the inside of the door. A while later he showed me a problem. The bracket which was attached to the inside of the glass door and which was used to secure the door together had come off a bit. I told him that it would be okay as we could stick together later and I carried on cleaning the oven. Then a while later I looked around and he had the whole strip detached from the door. Really I'm not sure why it came off, an old door, or a bit of inexperience of the trainee. Any way I knew it wasn't going to a major issue as the last time I'd fixed something like this was a few years ago; it wasn't something that happens all the time. At the end when we put everything together I tried to fix it with super glue which was okay when we left but I was sure it wouldn't going to hold for any extended length of time. I told the customer that if it came apart I'd have to take the door away for 24 hours. She rang the next week saying that the door had come apart. I went and picked it up and took it home and put sealant on bracket and left the door with some bricks on it to allow the sealant to harden overnight The next day I cut off the excess sealant and there it was a fixed door. The customer was happy and she told me that she had recommended me to her friends. Really I have found this to be the case. If there is a problem and you sort it out swiftly and effectively you get the recommendation. I read something somewhere that it gives the customer a nice glow that you were so eager to sort things out. So photos are 90cm oven before, 90cm oven after. Sealant applied to bracket on door. The sealant I used. Whilst training someone in the 'art' of oven cleaning I think it is great to get some really filthy ovens as it is great experience for the person learning the ropes as it were; it gives them a good idea of what they might meet and confidence in getting such a 'beast' clean. Our oven cleaning training course is enhanced when we get such dirty ovens. But the other week whilst training a new oven cleaning business owner we had three really dirty ovens that week, and this was unusual. The first one, which was a 90cm range, I have already done a post for and this is the second one a Rangemaster 110 range cooker. It was an electric one so had a fan in the main oven. The main oven, shown here in the photos, had lots of burnt on carbon on the self cleaning sides, so it was a case of taking everything apart and getting them clean with the magic stuff I keep in my van!!? It's called the oven cleaning dip tank solution just in case you were wondering. With the range was also a very dirty extractor unit which someone had attempted to clean by spraying with a caustic cleaner such as Mr Muscle which made all the paint on it run. Normally I would have advised the owner to get a new extractor as it was obviously way past it's best. In this case, for training experience, we cleaned it the best we could and managed to ruin my shirt as I got paint on it. But anyway it came up okay – I forgot to take an 'after' photo so just the before is just shown here; you notice the runs in the paint and the grease! At the end of the job we had a very happy customer a fabulous Rangemaster 110 range cooker and a clean and grease free extractor with new paper fitted. I haven't been posting for while as I need to catch up with everything. I've got lots of photos etc and I'll get them up as soon as I've got some quality time to do it. 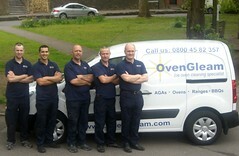 Our oven cleaning business is just very busy at the moment. We have lots of work with all our guys and me all booked up and this is before the Christmas rush which I would expect to start to gather speed over the next couple of weeks. 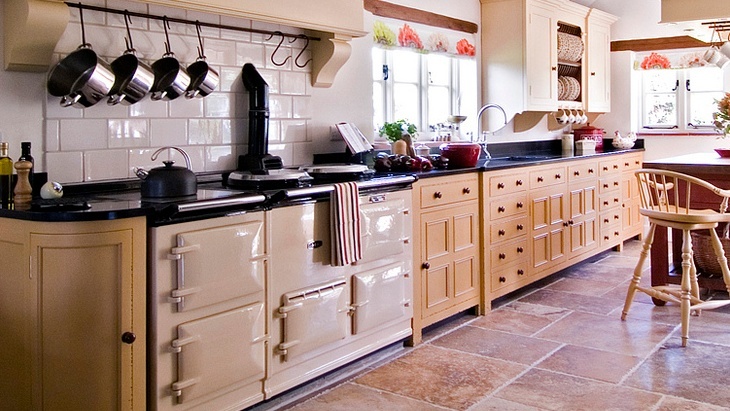 So if you want your oven, AGA, or range cooker, cleaned before Christmas please phone us sooner, rather than later, on 01275 370571. Today I am going to start my third week of training with someone who is going to start their own oven cleaning business. I have another one booked in for next week. Now is a great time to start an oven cleaning business as there is still time to get up and started ready to pick up the surplus demand that existing oven cleaning businesses out there can't cope with. So if you are thinking about it, whether as a franchise owner, or an independent oven cleaning business owner, we can currently help you with both. For our franchise opportunity we are looking for pilot franchises who want to hit the road running and offer a comprehensive two week course and start up package, with first class support at a great price. Please contact us for details. For your first step to starting an oven cleaning business please phone me or my wife Catherine on 01275 370571 to arrange a day to come and see how we run our oven cleaning business and clean ovens. Also don't forget to pick up my free guide to oven cleaning business success which you can find at the top hand right side of the oven cleaning business blog at www.theovencleaningbusiness.co.uk. See you soon.